The Kudelski Group is a world leader in digital security. Its technologies are used in a wide range of services and applications requiring access control and rights management to secure the revenues of content owners and service providers for digital television. The Group also offers cyber security solutions and services focused on helping companies assess risks and vulnerabilities and protect their data and systems. And finally it is a technology leader in the area of access control and management of people or vehicles to sites and events. Our fundamental objective in terms of human resources is to have on board the most dedicated and talented people to anticipate and meet customer requirements, enabling our company to offer leading solutions in a highly competitive and ever-changing marketplace. Joining the Kudelski Group means becoming part of an innovative community where you will have the opportunity to grow and succeed. Our performance development and training programs will help build on your technical and soft skills, enabling you to drive your on-the-job performance and express your full potential. 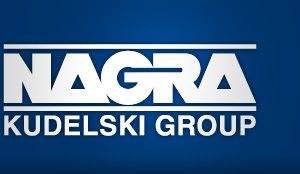 Interested in a career at the Kudelski Group? Please check our vacancies and apply online.